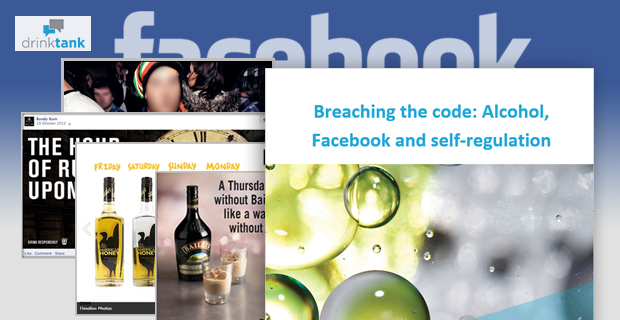 My latest report Breaching the code: Alcohol, Facebook and self-regulation shows that alcohol brands are regularly breaching their industry advertising codes on Facebook. The study, which was commissioned by the Foundation for Alcohol Research and Education (FARE), examined social media content from Australia’s 20 most popular alcohol brands using the Alcohol Beverages Advertising Code (ABAC) and Australian Association of National Advertisers (AANA) codes. Back in 2012, a colleague and I made a complaint regarding Smirnoff and Victoria Bitter (VB) noting that the content on their Facebook pages breached a number of standards in these advertising codes. In a landmark decision, Australia’s regulatory bodies upheld the complaint. They ruled that the Industry Codes of Practice should apply to alcohol marketing on Facebook and, importantly, that page administrators were also responsible for moderating user-generated content. But is it really just VB and Smirnoff who engage in these behaviours? Or are other alcohol brands also guilty of breaching the codes of conduct? And, since the 2012 ruling, have any of Australia’s alcohol pages changed their behaviours to comply? In short: no. We found that alcohol brands are still deliberately and regularly posting content on Facebook which normalises and promotes excessive consumption and clearly breaches Australia’s advertising codes of conduct. We found countless samples that raise regulatory issues, not only concerning the content of posts, but also their timing, volume and context. The report includes some pretty extreme examples of the types of conversations which are taking place; so much so that it comes with a disclaimer warning that no attempts have been made to mask its offensiveness. images of consumers who are clearly under the minimum age of 25 which is recommended by alcohol advertising codes in Australia. For instance, Jim Beam suggested that fans should substitute food for alcohol, saying: “Our soup of the day is Bourbon”. Wild Turkey uses their slogan to challenge consumers to drink alcohol with a higher percentage: “Some say Wild Turkey is too strong. We have something for them. It’s called a juice box. Bird up”. Victoria Bitter and Jack Daniels embed their product with events such as public holidays: “Esky – Check! BBQ – Check! Four pack of cold Jack Daniel’s and Cola – Check! Happy Australia Day”. Bundaberg Rum posts reminders to drink on Friday afternoons as people are preparing to finish work: “The hour of rum is upon us”. And Baileys encourages and normalises consumption: “A Thursday night without Baileys is like a wardrobe without shoes: POINTLESS”. In addition to being accountable for their own posts, according to the industry codes of conduct, Facebook page administrators should also be responsible for moderating user comments in this interactive environment. But in the sample examined in this study they are clearly failing to do so. Instead brands were doing the opposite, posing questions that prompt predictable consumer responses which breach the codes. Alcohol brands repeatedly use this marketing tactic to encourage fans to say things the brand is prohibited from saying. And the administrators don’t seem to be making any attempt to moderate the influx of offensive comments which follows. The current self-regulatory process is clearly ill-equipped to adequately define, monitor and manage alcohol brand activity on Facebook. Since this study was undertaken, ABAC released a revised Responsible Alcohol Marketing Code in 2014 following the 2012 ruling. But in some significant respects the revised code is even worse than its predecessor, further liberalising alcohol brands online. This research highlights the urgent need to reform alcohol marketing regulations in Australia. Given the examples we uncovered, the current system of self-regulation is not working. Following the 2012 decision, brands continued to produce and solicit content that falls far outside their own regulatory codes and far short of the standards that most Australians would expect of responsible industries. This is gravely concerning, especially where the celebration of excessive consumption of alcohol is positively associated with violence on the official marketing pages of some of the industry’s major brands. Given the extensive harms alcohol causes, this a serious policy issue that must be addressed. 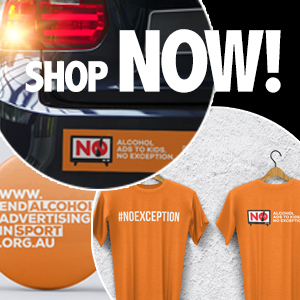 NSW has a problem with alcohol, and we look to Newcastle to remind the state of what can be done to stop the harm.